I’m still recovering from the marathon that was our colour and electrical selections appointment. What a day! I’d read enough blogs and Homeone forum threads to know that for a successful, straight forward, stress-free colour appointment preparation was key! With 6 months lead time and plenty of idle time, I had a plan to be as organised and prepared for the day as possible. I visited Studio M many times to window shop Metricon’s range so I had a fairly good idea of the items we’d be upgrading. I requested a few Display Option List (DOL) to get an idea of costs of the non-standard items you see in the display homes. Based on the prices, I worked out an estimate and set aside a provisional allowance to spend at Studio M.
We had an appointment with the builder’s external kitchen consultant to re-design the kitchen to our personal taste. I hired an interior designer to help pre-select colour schemes for the house. So, I felt confident that I had things under control. Well suffice to say the appointment didn’t exactly go as planned. Perhaps I shouldn’t really be surprised given every stage of this admin phase has thrown a curve ball! I don’t think we went overboard with the changes to the main kitchen. I expected the variation to the pantry was going to be the bulk of the extra cost and worked out a guesstimate of the redesign based on Metricon’s DOL. Hey joannek, thanks for stopping by 🙂 I’ve been stalking your build and love your stunning home especially your floors, kitchen, bathroom…come to think of it I love all your selections! You know, months ago I thought I was over-prepared too, but now I’m struggling with decisions! It’s a shame about the kitchen quote you got back from the builder. Do you know how much the kitchen supplier charged? If the builder is putting more than his standard margin on top, that might be a bit suss. Alternatively, have you considered deleting the pantry layout from the build altogether and doing it after handover? Or even just some of it, say the overheads? We raised over 50 items to upgrade so waiting to see what the total damage is. But we’ve decided to delete the pantry and do this after handover. 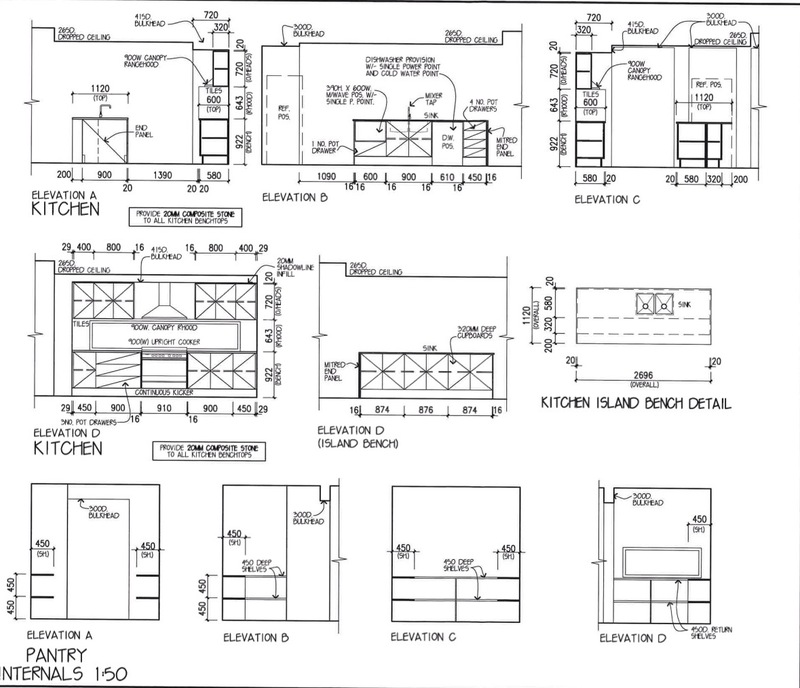 I’m getting the kitchen supplier to quote so will be interesting to see how much he charges without the builders margin. I hear you loud and clear about indecision! I’m second guessing my colour choices and the hubby has had to put his foot down and told me I was not to make any changes. It’s such a leap of faith making decisions based on a teeny tiny square samples. How did your contract signing go? Contract signing went well. At the pointy end now where in 2 weeks I need to have external colours locked down! Hey Trish, you might find this site useful. She gives some great tips on how to choose exterior colours. Good luck. Oh thanks, will check it out! Did you upgrade your Caesarstone category? I’m surprised they did not have a break down of the costs on the day. We’ve also estimated our upgrades and are hoping for no major surprises. What did you decide to do with the powder room laminate? I have to say I am enjoying writing it all down! Hoping to get some feedback and some guidance for our build. Good luck with the cull! It’ll be our turn soon.. Studio m quote won’t be ready till hopefully early/mid next week. We raised over 50 items to be priced up, some of which need to be sent off to external suppliers for estimates. We are upgrading the stone in the kitchen to cat 3 and the price they have on the day was $1610. It was very frustrating not to be able to get a breakdown of the cost on the day especially as they had the plans for the redesigned layout weeks ago. 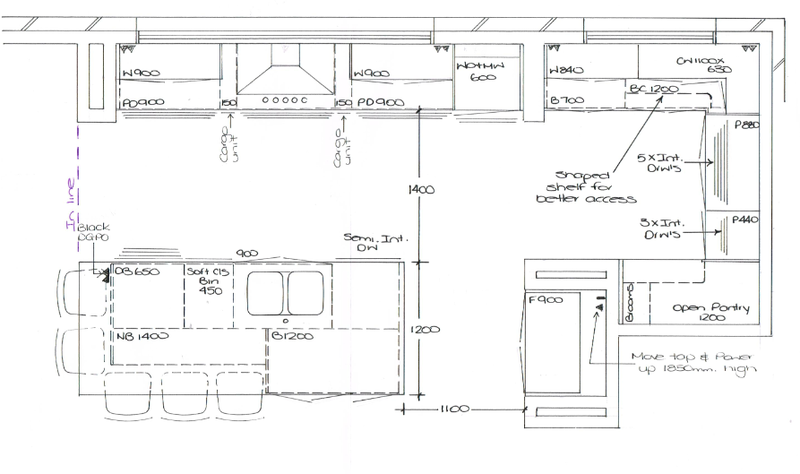 So they should have known exactly how much our customised kitchen/butlers pantry would cost. Anyways we have to just wait for the variations to come back and try to get as much in as possible. It will be toast and water for everyone for the next 20 years! Re powder room, the husband has put his foot down so will be sticking to out pre-selections ie Laminex White. The only reason why I had a second thought was I wasn’t sure whether I wanted white in the laundry. We want to use the same colours in the ground floor powder room and laundry. I have since seen the light (aka Houzz and Pinterest) and I’m now very much keen on an all-white laundry. If it’s any consolation we included our kitchen upgrades in our tender and it was in excess of $16K. We increased the length of our island to 3m, added an extra waterfall edge and increased the stone to 40mm (left the rest as 20mm). The kitchen cabinets were upgraded to poly, added an extra bank of pot drawers, moved the fridge, included a microwave tower and a butler’s pantry (majority of the costs). We have a sink in our butlers pantry and a water point for our fridge too. Let me know if you want to specific prices. We took up the ‘Hot Right Now’ promo and it clearly states that Fisher & Paykel appliances are included. However, in our tender they specified Elba items. We stood our ground and insisted on the Fisher & Paykel products. M finally came around when it came to the crunch. Re the powder room, the white cabinets with your walnut stone and tiles will look very nice. As you know we are still deciding on the laminates for our build and I think I will also be matching my powder room cabinets to the laundry too. Looking forward to hearing about your Studio M quote! Re FP appliances, I can’t believe M would have even disputed this given you’d clearly taken up the promo. You shouldn’t have needed to stand your ground. That would have peeved me off! Glad you sorted it out. Good luck with picking laminates. I found it so difficult hence the decision to hire a professional. If you don’t want to spend the money on designer, have you considered getting some online help? I just stumbled upon a blogger who is also an interior designer and she offers e-design services for a steal – $10 or something ridiculously cheap for colour advice. Let me know if this is of interest.